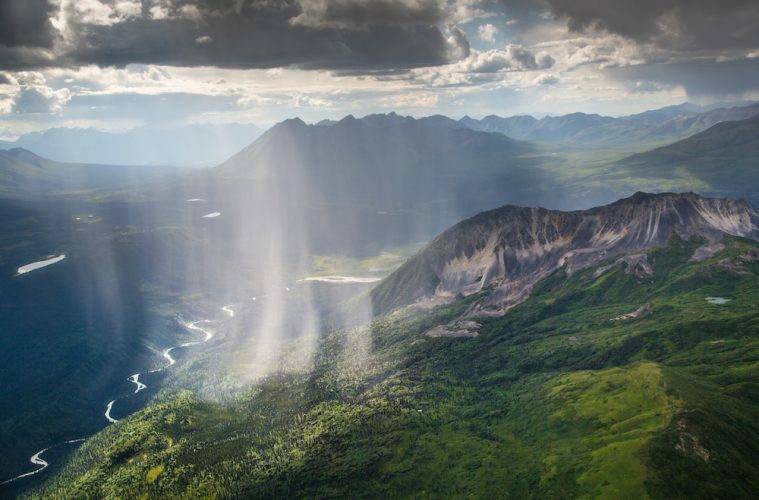 Waterproof trousers might not be the most fashionable pieces of kit, but you’ll be thankful you have them when the heavens open. 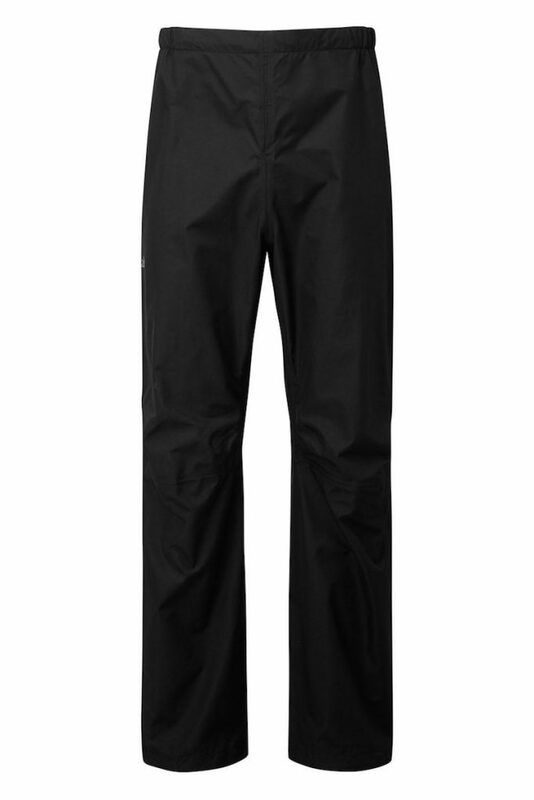 While some walking trousers (see the best women’s walking trousers and men’s walking trousers in our recent reviews) come with a durable water repellent (DWR) coating, this isn’t going to offer enough protection in heavy or sustained downpours. So what do you want from a new pair of waterproof trousers? 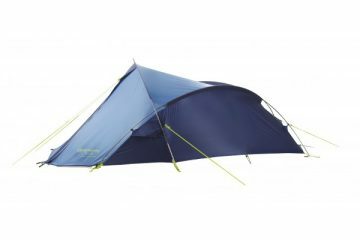 They need to keep the weather out, obviously, but we also like them to be lightweight and packable in the hope of good weather, at which point they’ll be living in your pack. In the event that it does start chucking it down, they need to be easy to pull on in order to minimise how wet you get, so we like to see long zips to aid this. We also like to see pockets, vents (or two way zips on the leg) and a slim cut so they don’t act as sails in the wind. Of course, they must also be comfortable. Here, Rob Slade puts 12 pairs of the best waterproof trousers (all available in men’s and women’s) to the test to see which pair you should invest in. At £50, these are the cheapest on test, but how do they hold up? Well, they have an internal lining that makes it slightly more difficult to pull them on over boots, and the short zips at the bottom don’t prove to be a massive help in this regard. 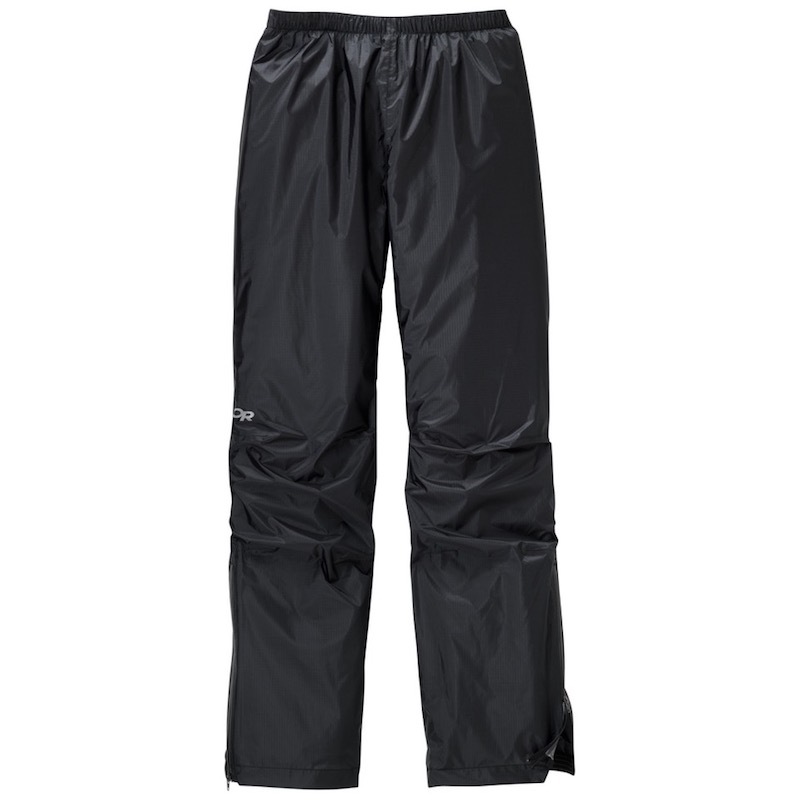 I know that even some of the best waterproof trousers are noisy to walk in, but these seemed especially so, and they are rather baggy, meaning they flap away in the wind quite a bit. Poppers on each ankle help cinch them in at the bottom to counter this slightly. They were certainly comfortable to wear, and the elastic waistband ensures you can achieve a good fit. One thing that does bother me is that I found it quite easy to overheat in these. Some ventilation zips would have helped, and they aren’t very light or packable, but for the price (they are often on sale for just £25), you can’t expect the world. Columbia’s Pouring Adventure Pant is another very affordable option, and just like the Regatta trousers we had on test, they have an inner lining that can cause trouble when you’re trying to pull them on in a hurry, with your boots getting caught up. However, unlike the Regatta trousers, the Pouring Adventure Pant has zips on each leg that come mid-way up your thigh, allowing you to slip them on easier. Better yet, these zips open both ways, so if you start to overheat you can unzip them from the top to allow for some venting. At the bottom of the legs you’ll find Velcro adjustments that allow you to cinch the ankles in, and there are different leg lengths available so you can get the perfect fit. They are elastic at the waist, allowing for a comfortable wearing experience and there is one zipped pocket on the right hand side. 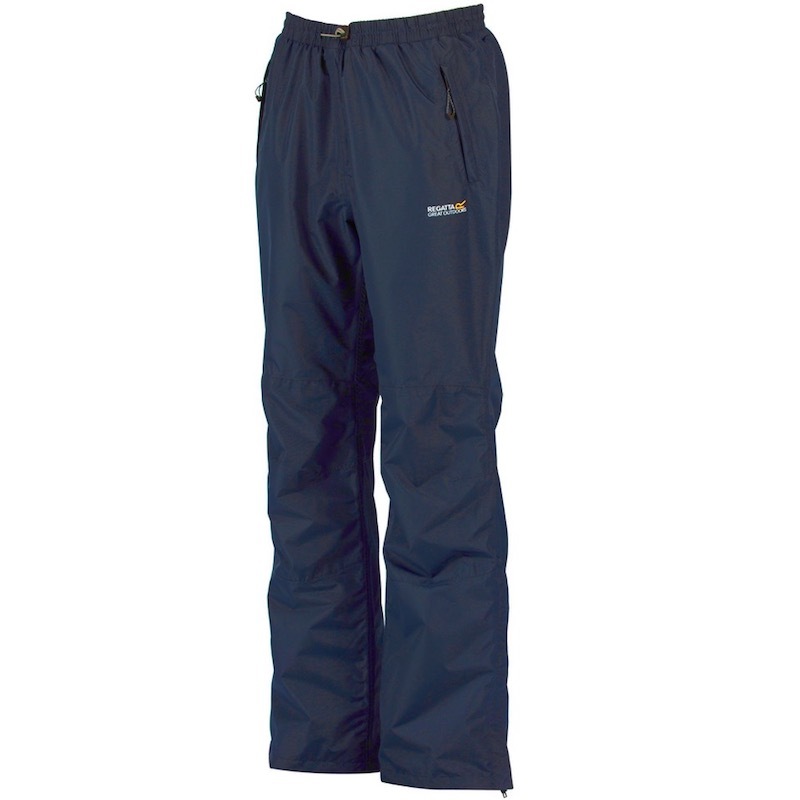 The Craghoppers Kiwi Pro Waterproof Trousers are different to a lot of our other best waterproof trousers for 2019 in that they are not over trousers. Instead, you wear them all day and they’ll keep you protected in the event of a downpour. My favourite bit about this is that they don’t look or sound like waterproofs at all. In a short shower during testing they certainly did their job, but if you run hot you may find them a little on the warm side. There aren’t any ventilation zips to counteract this, but on days in cooler temperatures (which, let’s face it, is a lot of the year in the UK), they should be fine. 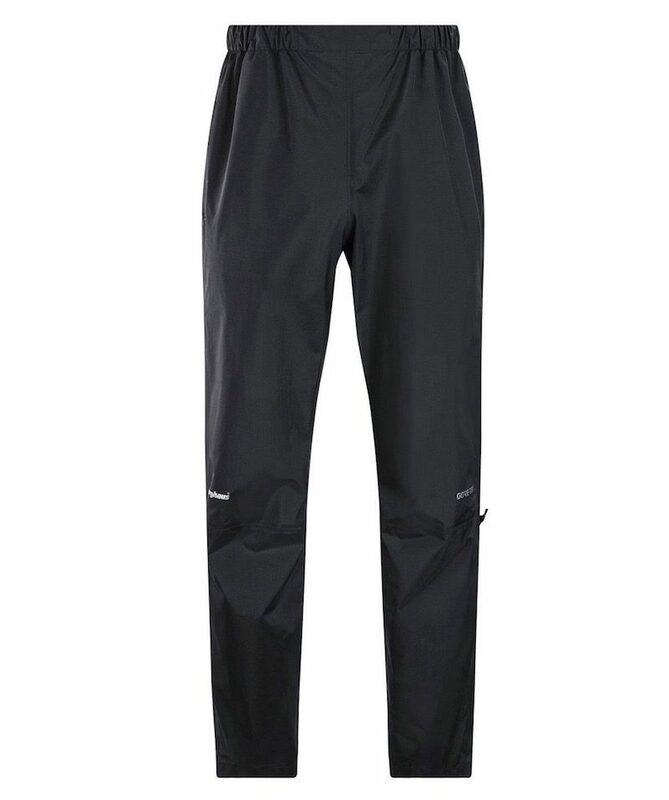 Range of movement is as you’d expect from a normal pair of walking trousers, and they are super comfortable. 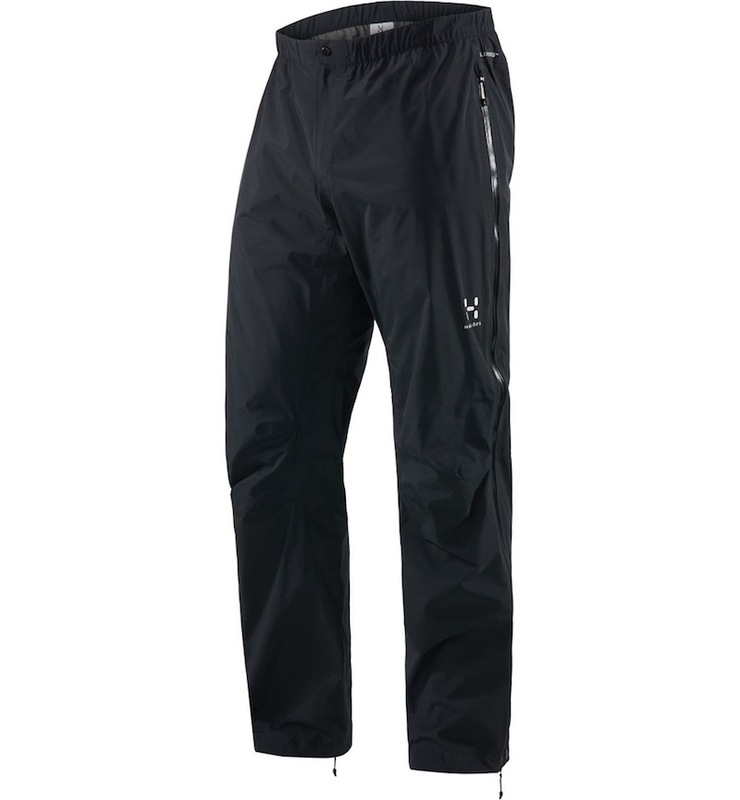 Lightweight, packable and very affordable, the Helly Hansen Loke Pants are a serious contender if you’re looking for a respectable price. The 2.5 layer waterproof fabric keeps poor weather at bay, and it will easily pack away into your bag without you noticing. They may not be quite as durable as some of the more expensive options, but if you’re careful, you shouldn’t have too many issues. They have a slim profile, so you won’t have to worry about the wind, but this does make it a little harder to pull them on over boots. Knee length zips on the legs help mitigate this, but it would have been more helpful if they came up further. 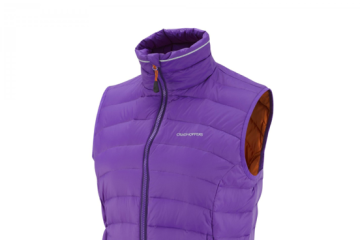 Ventilation is limited to the two mesh-lined pockets. There are Velcro attachments at the ankles, while the elastic waist means they are comfortable to wear. The Tuba USX Pants take on a very minimalistic appearance, and it’s one that we were big fans of in the office. Having said that, this did result in a few negatives. For one, there are no zips on the legs, which means it can be challenging to pull these on while wearing footwear. In fact, my foot got rather stuck when attempting, but then I do have quite big feet. One thing that really impressed me about these trousers was just how lightweight and packable they are, which is just what you want from a garment that is going to spend most of its time buried in your pack. The waist is elasticated and can be tightened by a drawstring, while there are reflective Velcro adjustments at the ankle. There is quite a bit of fabric on the legs, meaning the wind catches it easily, but this does ensure a good range of movement. The Outdoor Research Helium Pants are incredibly lightweight and packable, and you would hardly notice them in your pack, but this does come with a few downsides. The material is really quite thin, and I’d be worried about its durability when coming into contact with rocky scrambles or dense foliage. Having said that, they will do a great job of keeping out the weather, which is why they’ve made it onto our list of best waterproof trousers for 2019. Pulling them on over boots proved to be rather challenging, with the side zips only coming up to the middle of the shin not really helping in this regard. The side zips were not two way, either, and there were no other ventilation zips on the trousers, so you may well find you over heat if you run hot. The trousers have a good, slim profile, so they don’t catch the wind, while elastic ankle cuffs help close out the elements. The waistband is also elastic, with a toggle helping you get a good, comfortable fit. I’ve tested the Berghaus Paclite Gore-Tex Overtrousers in some interesting locations, including under a waterfall, so you can be sure that they do their job and keep the wet stuff out. But what else have they got going for them? Well, they have a long zip on each leg that stretches all the way up to the thigh (which can occasionally get stuck), making it easy to pull them on over boots, while a two-way zip provides good ventilation. There are poppers at the ankles to cinch the trousers in on your boots, while there is a storm flap that covers the zips to help protect against water ingress. I found the trousers to be just right in the baggy/slim fit stakes, and the material seemed to offer a respectable amount of durability. An elastic waistband and toggle help you achieve a good, comfortable fit, and I found the range of movement to be excellent. 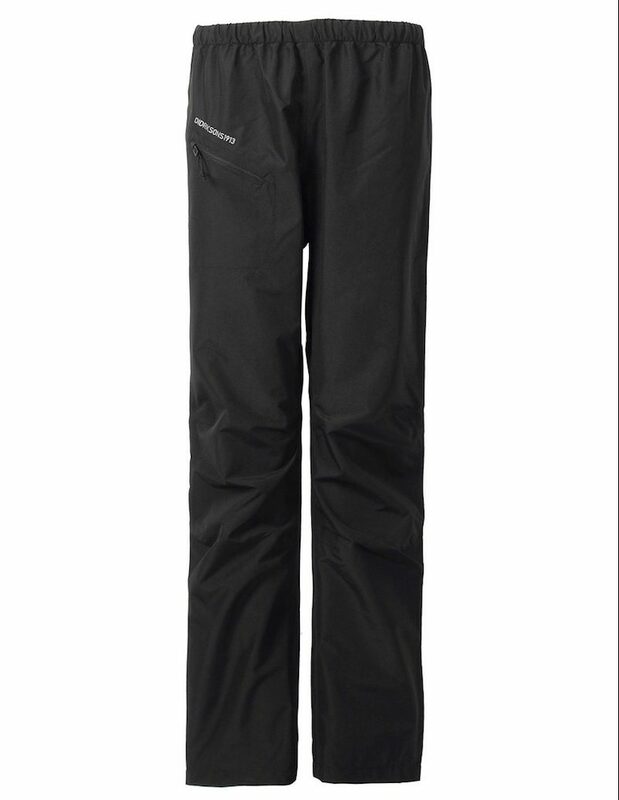 Vaude’s commitment to sustainability and fair working conditions has always made me sit up and take notice of what the company is doing, but the Yaras Rain Zip Pants II shows that product development is also something that the brand does very well. The standout feature here is the full-length two-way zips on each leg, which means it’s incredibly easy to take them on and off, even if you have boots on. This also makes ventilation a simple and effective job, as you can unzip the sides as much or as little as you like. There are Velcro tabs that run up to the knee, allowing you to cinch it in and stop it flapping in the wind or getting caught by anything, and a large storm flap covers the zips to help half water ingress. I found the trousers afforded a great range of movement, and they were very comfortable to wear. They’re not as packable as some of the more expensive options, but they do offer great durability. I managed to test these out in the tail end of Storm Callum, and I have to say, they held up very well. They use a 3-layer Gore-Tex fabric to keep the wind and rain out, while half-length leg zips make it a simple task to pull the trousers on over boots. At the bottom, there is then a large Velcro fastening that allows you to pull them in at the ankle. 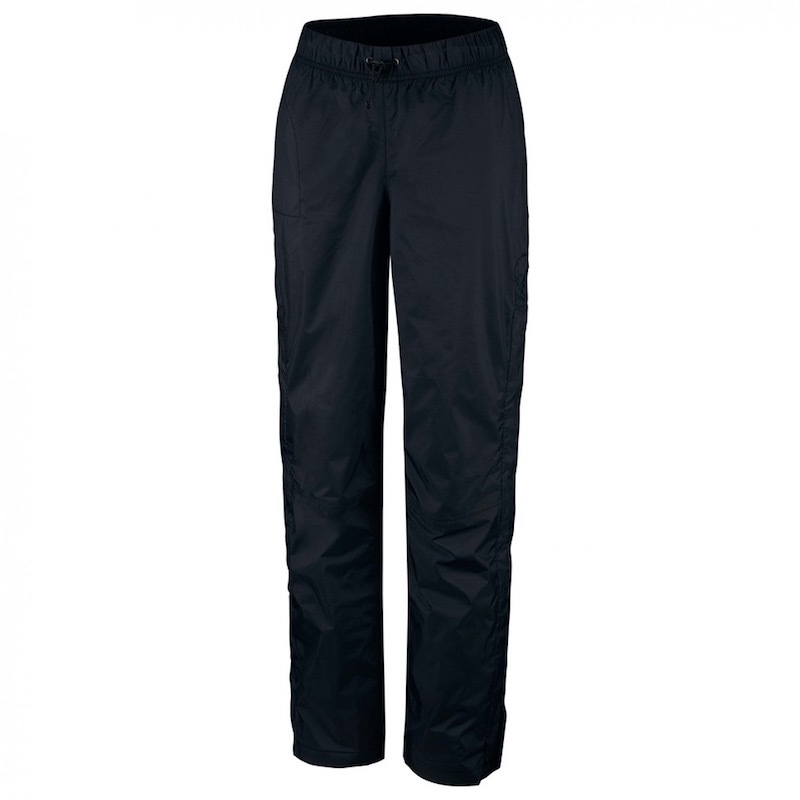 The profile of these waterproof trousers is quite standard, with plenty of room for layers underneath, while not having too much excess fabric that they flap around in the wind loads. 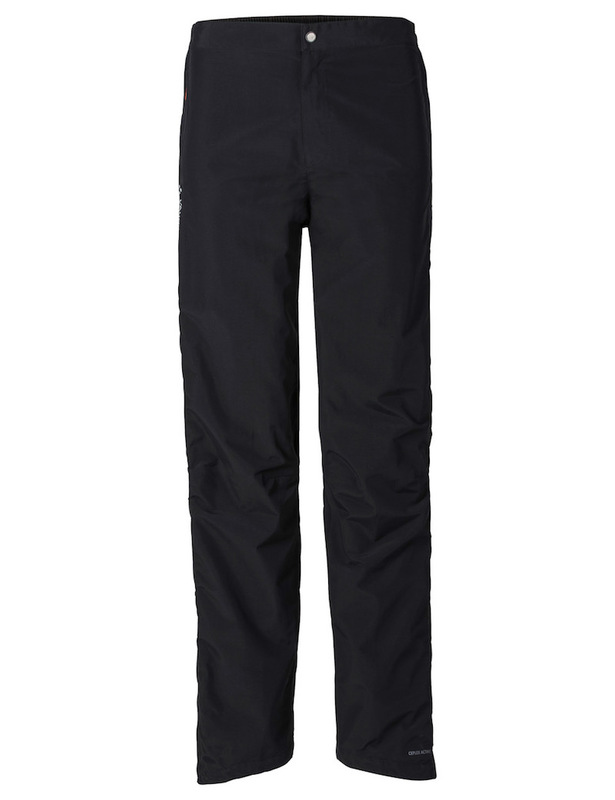 The toggle at the waist is on the outside of the trousers which, along with the soft fabric inside, makes the Mountain Rainpant really comfortable to wear. 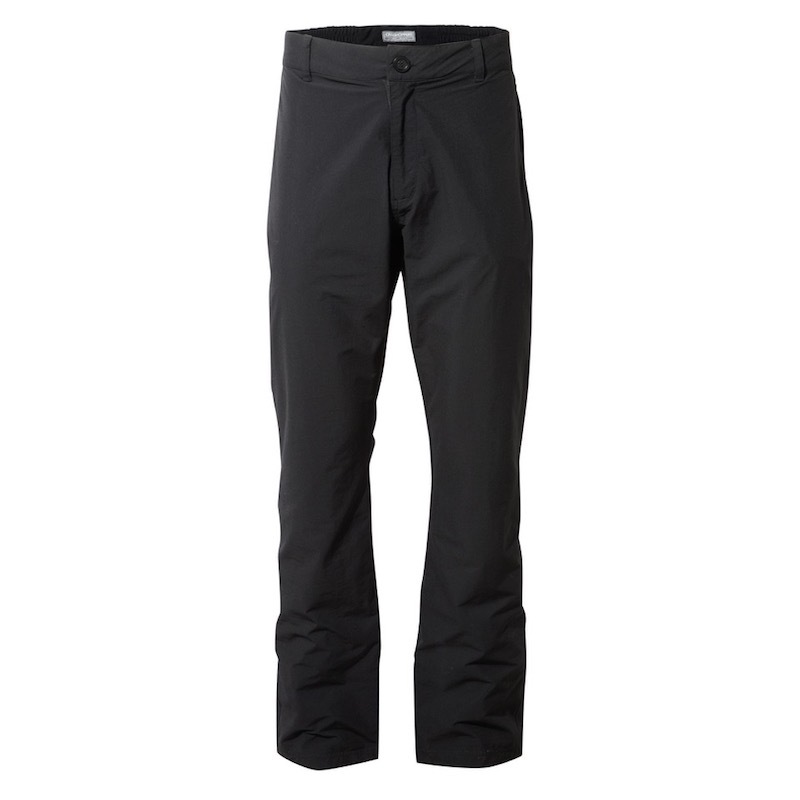 I was also impressed with the durability of the trousers, and would not be worried when traipsing through tough terrain. It would have been nice to have seen higher leg zips that opened both ways, as I really miss this venting when it’s not present. The Paramo Velez Adventure Trousers are different to all of the other best waterproof trousers for 2019, rather than making use of a waterproof membrane, they use Nikwax Analogy, which delivers impressive waterproof performance and breathability. Beyond that, the trousers are very comfortable to wear (they are worn on their own, as opposed to standalone trousers), though they can get quite warm. Luckily, there is a venting zip on each leg to counteract this. 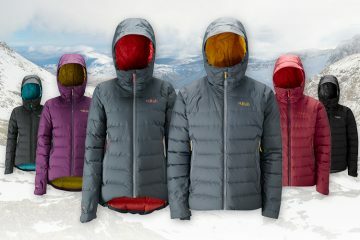 There is reinforced material on the knees and on the rear, while you’ll also find two hand-warmer pockets. Articulated knees ensure good range of movement, while the elastic waistband and webbed belt offer a comfortable fit. The trousers have a slim profile, so they don’t catch the wind at all, and Velcro adjustments on the ankle cuffs mean you can cinch them in and shut out the weather. 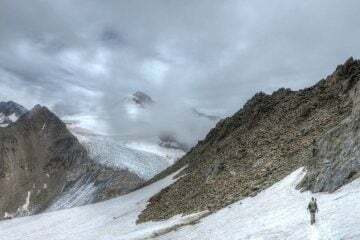 Whenever I have used Rab gear in the past it has never let me down, and this has continued to be the case while testing the Ladakh DV Pants. As with the Haglöfs L.I.M Pant, Rab’s submission comes with long two-way zips on the outside of the leg, making it easy to pull them on over boots or open them up to provide venting. 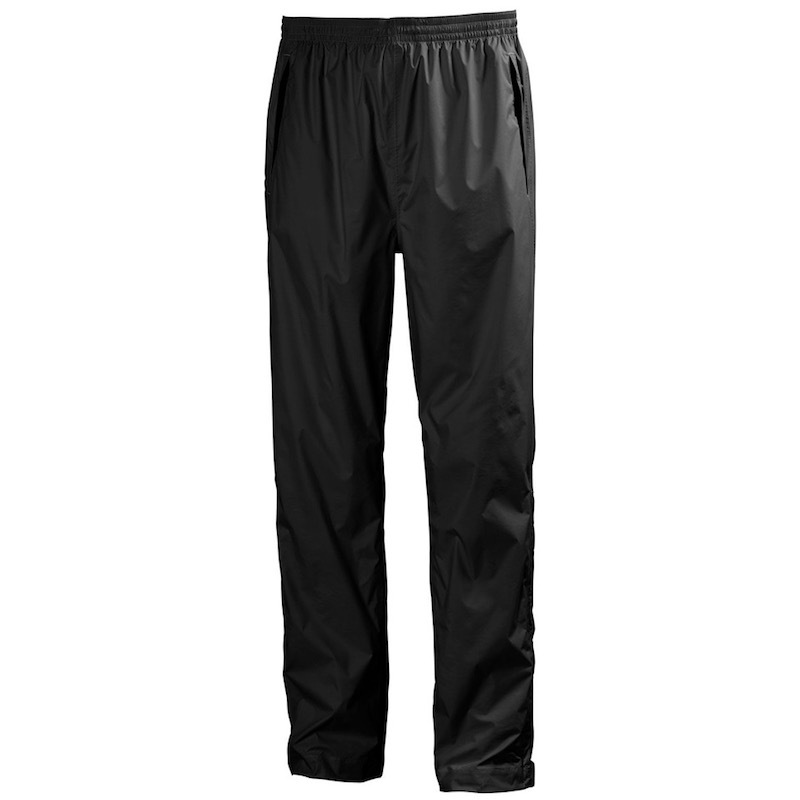 Waterproofing is taken care of by eVent, while the part elasticated waistband with drawcord allows you to achieve a perfect and comfortable fit. 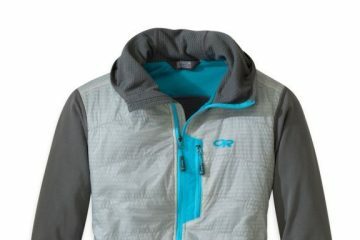 Despite being lightweight, I found the material to be durable and hardwearing, while there is plenty of space for extra layers underneath. On the flip side, when you aren’t wearing extra layers the fabric can flap in the wind a fair bit, as the fit is quite loose. At the ankles you’ll find drawcord adjustments to cinch them in over your boots, which is a nice feature. First up, let’s address the elephant in the room. Yes, these waterproof trousers are the most expensive option in test at £200, but if you are able to spend the money, they are certainly worth it. Here’s why. For a start, they are extremely lightweight and packable, meaning they will take up little space in your pack and you’ll hardly notice them. They are wind and waterproof thanks to the use of Gore-Tex Paclite, while articulated knees ensure a full range of motion. Unlike many of the other pairs in this review, they have a narrow profile too, so you won’t feel like you’re wearing parachute pants. On each leg, you’ll find two-way zips that stretch from the bottom, all the way up to the waistband, making it easy to pull them on over boots, while also allowing you to ventilate by unzipping from the top. 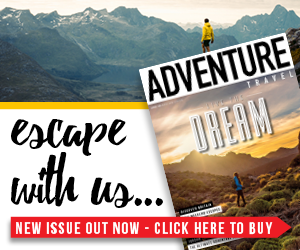 You may not want to shell out £200 on some waterproof trousers for a handful of day hikes every year, but if you’ve got something more substantial planned (like multi-day hiking or mountaineering) they’re a great option.